In the midst of everything Korean, I’m going to introduce to you my first-ever shopping experience at an O-Lens Korea store in either Seoul or Busan (I really can’t remember). 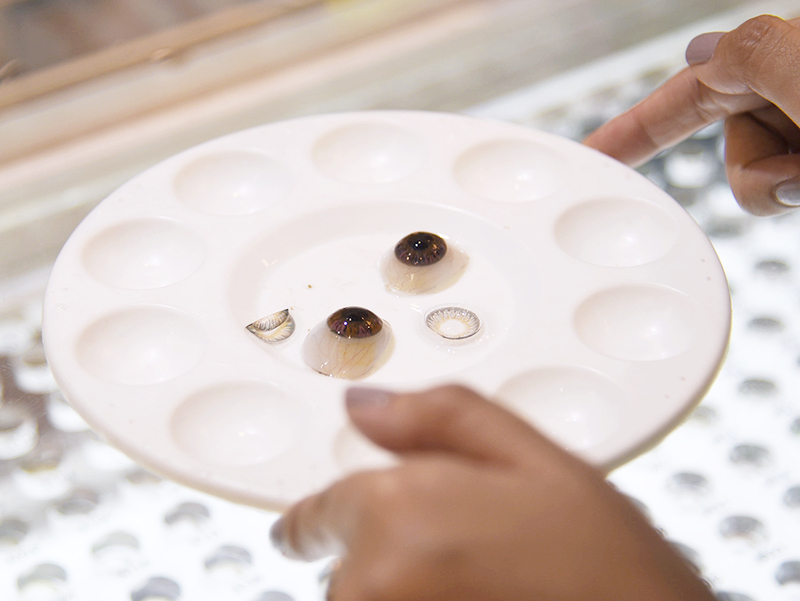 While shopping and visiting lively areas in the city, I spotted a few O-Lens Korea stores here and there. I never really bought stuff from them before because I usually get my coloured lenses online. But then it hit me, that I was in Korea and had real-life access to all the gorgeous coloured lenses that I could ever have for the foreseeable future. So I stepped into a random store one afternoon and asked a salesgirl if they had any 6-month pairs. Of course they did. Rubbery, googly eyes let you test the lens colours before you decide to buy them. I settled for a pair of purple ones (should also have bought pink ones) for 45,000 KRW, and it came with a whole bunch of other free stuff. 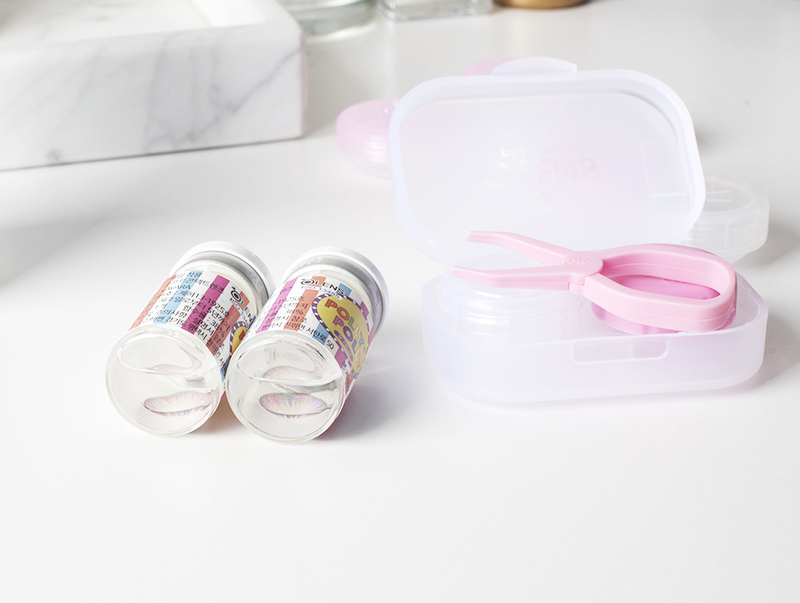 Like a decent-sized bottle of contact lens storing and cleansing solution, 3 contact lens cases and a contact lens case kit that included a pair of rubber tweezers. Receiving all these freebies every time I shop in Korea has spoilt me. I now think beauty shopping in Singapore is a rip-off (but of course you know this feeling won’t last for long). Anyhow, this new pair of contacts are gorgeous and I can’t wait to put them on. I’m still undecided on whether I’ll use them right away on rotation with my two other pairs, or wait till those two pairs are expired. Dilemmas, dilemmas. You can check out O-Lens Korea’s website here and see everything they have. And if you do drop by Korea the next time, you should definitely check the stores out too! They’ve got many different types of coloured lenses, such as daily or monthly ones. I saw the pretty Anna Sui floral lenses while looking around but didn’t get them as they weren’t 6-month lenses. I hope you’ll stay tuned for my next update, and I look forward to sharing the rest of my haul during the trip. Till next time, lovely eyes. Haul: O-Lens Korea Coloured Contact Lenses and Freebies was last modified: August 4th, 2016 by Roxanne C.